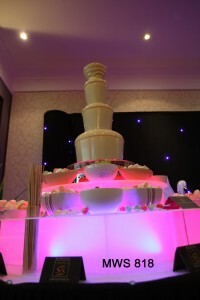 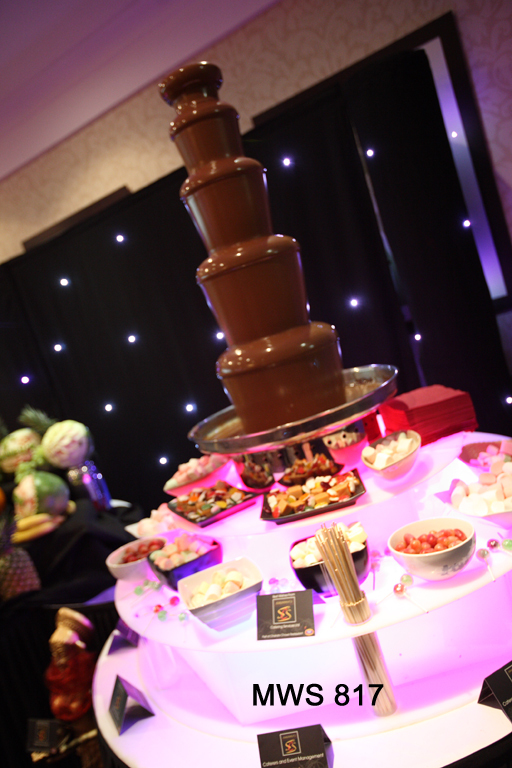 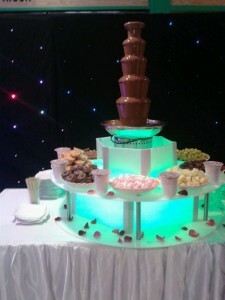 We have chocolate fountain on hire. From small fountains with 3 tiers to larger fountains with 6 tiers, we are certain that these fountains will bring a classy addition to your event mehndi, wedding, party or even corporate event. 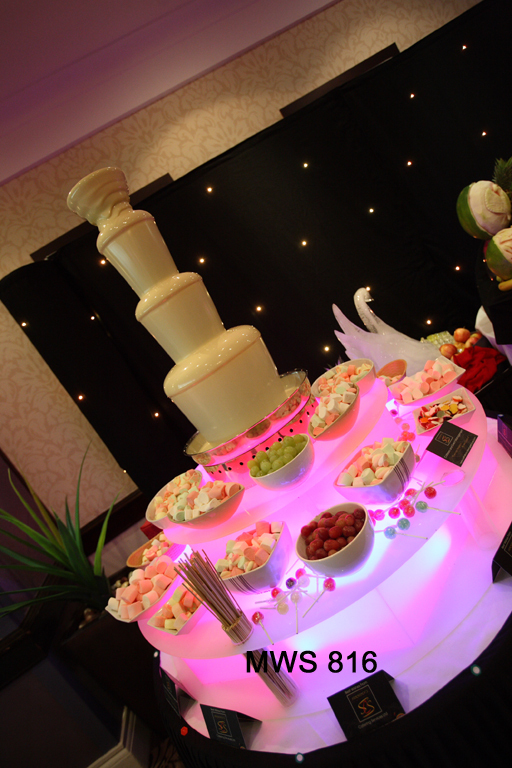 We offer dark chocolate and white chocolate for your guests but also a range of different edibles such as fruits, marshmallows and even cones.